Celtic Vacuum Ltd provides specialist vacuum recovery services to the water, petro-chemical and manufacturing industries and is one of three businesses to appear on the Fast Growth 50 list for four consecutive years, growing by over 700% since 1996, an annual growth rate of 70%. It has also created over 40 jobs during this period. Formed in 1994, a year later the company designed and built the first Hyper-Vac unit that now forms the core of the firm’s business today. It also has a mechanical engineering arm that builds and develops specialist equipment for its contracting division and also fabricates and installs steelwork and process equipment for the water, petro-chemical and manufacturing industries. The strength of the company continues to reside in its employees and its motto - ‘your problem, our solution’ - has been particularly significant and has attracted numerous clients requesting the services of Cel-Vac over the eighteen months. 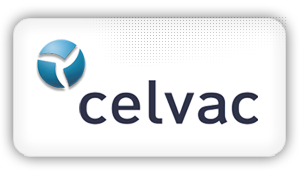 Most importantly, Celvac is a people driven company and the effort and loyalty of its employees are its most valuable asset, and the development its staff continues to be a key factor for success. For example, Chris Hurlow joined the board last year as Financial Director after just four years with the company, with Richard Rogers becoming Contracting Manager and Justin Gottwaltz taking on the role of international and UK sales. Acoording to CelVac’s MD, Kim Beynon, the last eighteen months have been fantastic. The Environmental Services Division has been very busy with large cleaning contracts in London, and the West Country, whilst maintaining contracts with Severn Trent and Welsh Water. Mechanical installation has been involved with the design and fitting of bespoke systems for the water industry on numerous sites throughout the U.K. CELVAC has also been very active in the export market with the specialist design and build of a Hyper-Vac unit for Bahrain, which was exported in August 2001. "The client was highly delighted so much so that we are at this very moment awaiting confirmation of a repeat order. Also during the past six months we have designed, built and delivered five tankers to the island of Guernsey and once again the client was extremely happy." The directors and staff of the firm were also delighted to win a SMART award for innovation that has strengthened their commitment to research and development and are now working with Glasgow University on various projects. Indeed, the continuous growth and expansion of the company means that it has now outgrown their present workshop and office facilities, and tenders have been sent out to build its new factory.